Wireless charging is the Holy Grail of mobiles. Currently it exists but requires a super close connection. A new discovery from start-up company uBeam will allow for wireless charging at along-range, meaning you can walk around the room with your phone while it charges over the air. uBeam uses ultrasound to transmit electricity. Power is turned into the sound waves to be transmitted and then converted back to power on reaching the device. The uBeam concept was stumbled upon by 25-year-old astrobiology graduate Meredith Perry. 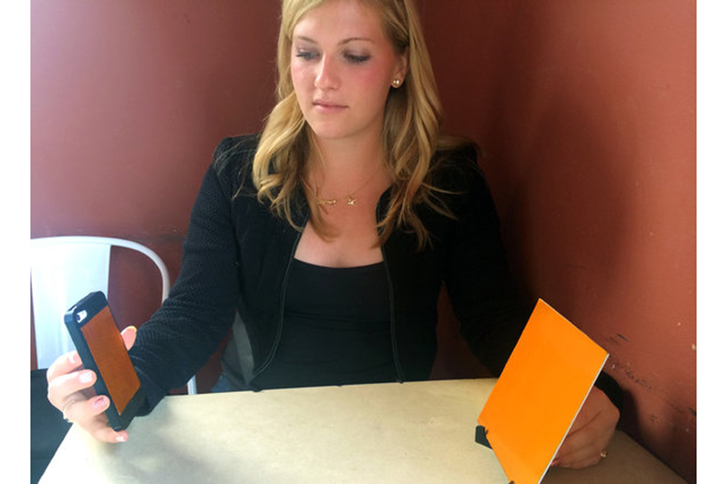 She started the company that will make it possible to charge gadgets over the air using a 5mm thick plate. These transmitters can be attached to walls, or made into decorative art, to beam power to smartphones and laptops for example. The gadgets just need a thin receiver to be added in order to receive the charge. uBeam will mean gadgets can be designed differently, with slimmer batteries and more room for the charging plate. It will also mean cables can be removed almost entirely from the home. Imagine the kitchen with kettle, toaster and radio all powered wirelessly. uBeam creator, Meredith Perry, said: "This is the only wireless power system that allows you to be on your phone and moving around a room freely while your device is charging. It allows for a Wi-Fi-like experience of charging; with everything else you have to be in close range of a transmitter."